The art of Naha-te, founded by Kanryo Higaonna Sensei, forms the basis of Goju Ryu Karate. 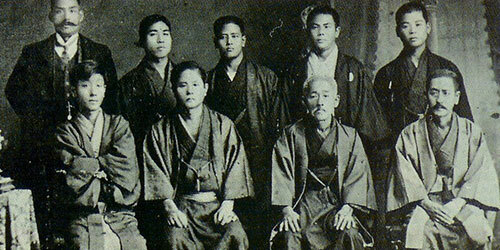 Kanryo Higaonna Sensei was born in 1853 and was part of the lower gentry. He longed to study in China the art of Chinese Kempo, however, was lacking in financial means until he was introduced to the owner of a ship. Fortunately, the owner granted him passage and Kanryo Higaonna Sensei soon arrived at the port city of Foochow, the only city in China engaged in trade with Okinawa at that time. Eventually, he was introduced to Master Ryu Ryuko. Kanryo Higaonna Sensei spent sixteen years in Foochow, China, studying under Master Ryu Ryuko and become like a son to him. 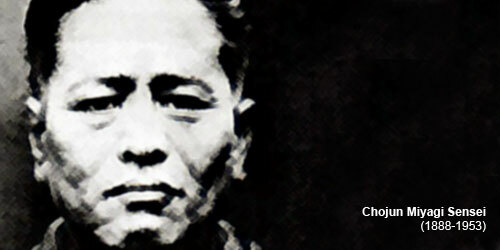 He also became well known throughout the region as a great martial artist. Upon his return to Okinawa, Kanryo Higaonna Sensei paid his respects to the owner of the ship, Yoshimura, and began teaching his sons the art he had learned. As the word spread of his great skill, he soon also taught members of the royal family. Later he opened his own dojo. Kanryo Higaonna Sensei was especially known for his incredible speed, strength and power and his art became known as Naha-dee (te) . The actual founder of the Goju Ryu karate was Miyagi Chojun Sensei, a personal disciple of Kanryo Higaonna Sensei. At the age of 14, Miyagi Chojun Sensei met Kanryo higaonna Sensei and together they devoted their lives to the improvement and advancement of the art of Naha-te. They spent thirteen years together until Kanryo Higaonna Sensei passed away in 1916. Miyagi Chojun Sensei’s family was part of the gentry. They owned two trading ships that imported medicine from China for both the government and private individuals. The same year Kanryo Higaonna Sensei died, Miyagi Chojun Sensei left for China to discover the roots of Naha-te in the city of Foochow. Unfortunately, all had fled during the revolutionary war and he returned to Okinawa. Miyagi Chojun Sensei was a man of strong will and excelled in his studies. He trained daily, often with nature in harsh elements, and practiced various exercises to develop his senses. He created several katas and sometimes would receive instructions from his dreams. In addition to his personal training and development of Naha-te, Miyagi Chojun Sensei spent a great deal of his time promoting the art. In 1921, he performed a demonstration of Naha-te in Okinawa for the visiting Prince Hirohito, Emperor of Japan, and in 1925 for Prince Chichibu. 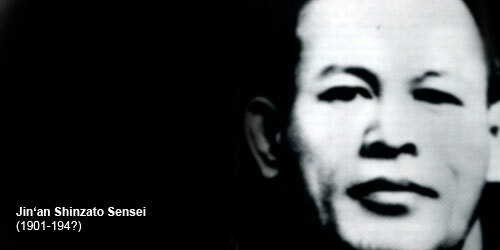 Miyagi Chojun Sensei had already envisioned the development of Naha-te not only in Japan but also around the world. It became increasingly important to organize and unify Okinawan karate as a cultural treasure to be passed on to future generations. 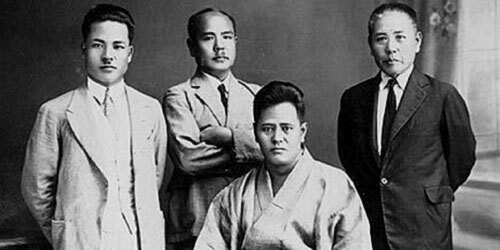 In 1926, Miyagi Chojun Sensei established the Karate Research Club in Wakas-Cho. Four instructors, Miyagi Chojun, Hanashiro, Motobu and Mabuni, taught alternately some preliminary exercises and supplemental exercises. Afterwards, Miyagi Chojun Sensei gave talks to the students about mankind, daily life, and the samurai code of ethics in order to improve their moral development as well. In 1927, Kano Jigoro Sensei, founder of Judo, saw a demonstration of a kata by Miyagi Chojun Sensei and was impressed by the advanced technique and sophistication of Naha-te. 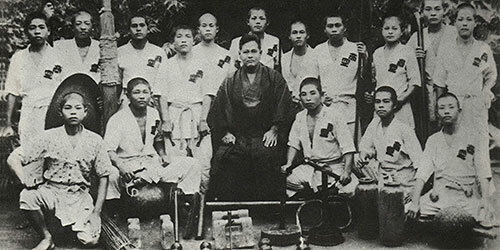 Kano Sensei’s influence allowed Miyagi Chojun Sensei to perform Okinawan karate at leading Japanese Budo tournaments sponsored by the government. 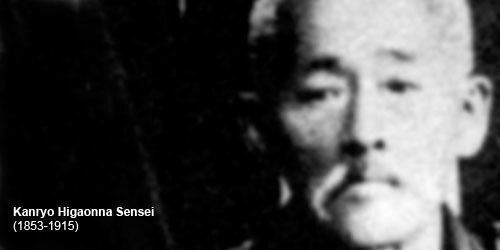 In 1930, Miyagi Chojun Sensei performed at the Butoku-kai Tournament and at the Sainei Budo Tournament in 1932. As its exposure increased, many became interested in Miyagi Chojun Sensei’s art. One of Miyagi Chojun Sense’s senior disciples, Jin’an Shinzato Sensei, gave a performance of kata at a Japanese martial arts tournament. Afterwards, a master asked the name of his school. Shinzato Sensei had no answer for him, returned to Okinawa and told Miyagi Chojun Sensei about his encounter. In order to promote his art as well as cooperate with other schools of Japanese martial arts, Miyagi Chojun Sensei decided it was necessary to name his art. It became known as “Goju Ryu” Karate, meaning “hard and soft” taken from the precepts of traditional Chinese Kempo (see below). He was the first among different schools of karate to name his art and in 1933 his art of Goju Ryu was formally registered at the Butoku-kai, Japanese Martial Arts Association. From the beginning, Miyagi Chujun Sensei recognized karate as a valuable social treasure of Okinawa. He devoted his entire life to the study, development and transmission of Okinawan karate for the sake of future generations and is truly known as the founder of Goju Ryu karate-do. During his lifetime, Miyagi Chojun Sensei was known and respected by everyone not only in Okinawa but also respected throughout the world as one of karate’s greatest authorities. - The mind is one with heaven and earth. - The circulatory rhythm of the body is similar to the cycle of the sun and the moon. - The way of inhaling and exhaling is hardness and softness. - Act in accordance with time and change. - Techniques will occur in the absence of conscious thought. - The feet must advance and retreat, separate and meet. - The eyes do not miss even the slightest change. - The ears listen well in all directions.